Home Expert Advice Skincare Advice Sun Care Do Sunscreen Pills Work? Because we are fanatic about helping you protect your skin from the damaging, aging rays of the sun (our selection of sunscreens for different skin types is one of the most impressive in the world), we would be remiss if we didn’t look at other ways to help you be sun savvy. One way we can help is to answer the question about whether or not taking a pill or eating specific foods can help protect your skin from the sun. The condensed answer: When it comes to taking sunscreen pills or eating specific foods—the notion of edible sun protection—doing so can indeed lessen your risk. Edible sunscreen is all about eating foods or taking supplements that are high in antioxidants. Skin is hungry for antioxidants and, whether topically applied or eaten, they reinforce skin’s reservoir of these natural defenders against environmental assault. BUT, and we can’t say this strongly enough, this does NOT in any way, shape, or form replace the fundamental basics of sun care, such as never, ever tanning and daily application of a sunscreen with SPF 30 or greater. Believing otherwise is dangerous and potentially deadly for your skin! Research has shown that certain foods, particularly those high in specific antioxidants, can improve many aspects of what skin endures from sun exposure. 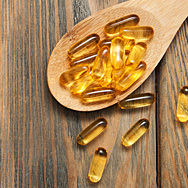 Examples include foods or supplements high in beta-carotene or other carotenoids such as astaxanthin (from fish like salmon), lutein and lycopene (tomatoes), elegiac acid (pomegranate), vitamins C, E, A, D, and forms of vitamin B, omega fatty acids, and even cocoa powder due to its concentration of flavonoids. However, some of these studies can be incredibly misleading. For example, they looked at doses of certain vitamins like C and E that exceed safe levels of consumption; they were performed in vitro (meaning not on skin in the real world); or the study’s sample size was so small it was relatively meaningless. Even more suspect are studies sponsored by the same companies that are selling the sunscreen pills; these studies are overwhelmingly positive, but are not corroborated by independent studies. Our strong warning: Do not rely on your diet or any supplement to protect your skin from the sun. There is much that your diet can do to help, but to prevent premature aging of the skin, sunburn, and skin cancer, consider food and sunscreen pills merely an extra boost, not a standalone option.